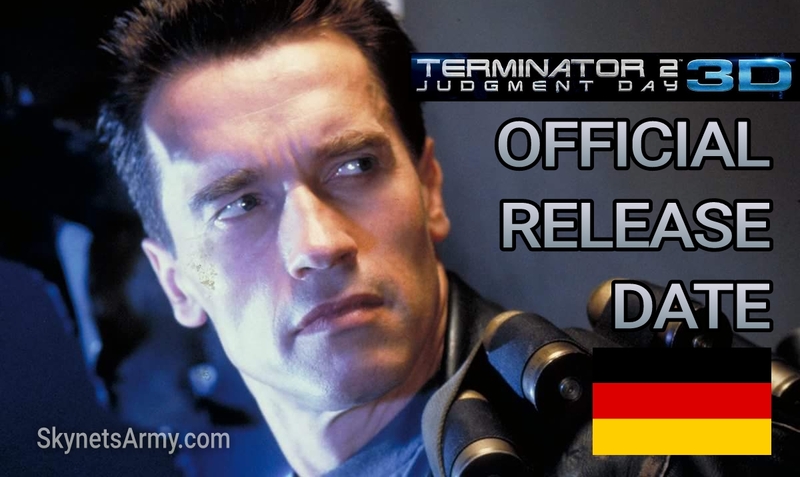 OFFICIAL RELEASE DATE: “TERMINATOR 2: JUDGMENT DAY 3D” arrives August 29th 2017 in Germany! 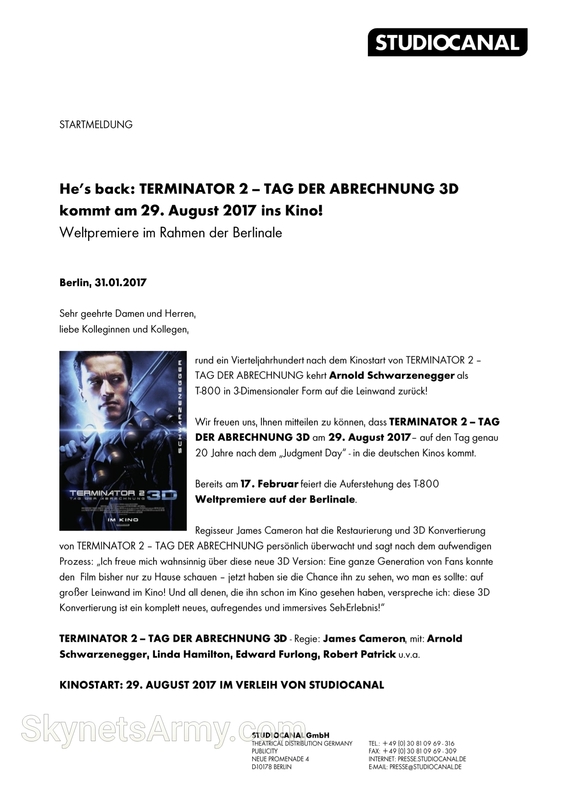 “Three billion human lives ended on August 29th, 1997.” But on August 29th, 2017, people in Germany will be rejoicing because “TERMINATOR 2: JUDGMENT DAY” will be released in Deutschland cinemas for all to see! Will “Terminator 2: Judgment Day 3D” be announced in more countries with the same official theatrical release date of August 29th? Stay tuned! Previous PostPreviewing the CINEMACHINES Die Cast “TERMINATOR 2” HK-Aerial and HK-Tank!Next Post“THE TERMINATOR” Official Board Game will launch a Kickstarter campaign on February 15th!